Making time to nurture yourself is an important task in your wellness life journey. Free yourself from daily pressures and stress with this beautiful healing ritual. Once a week take time out for your own complete face and body indulgence. This weekly body treat is a must for your energy, good health and great skin! Renew your skin with a cleanse, exfoliation and mask treatment. 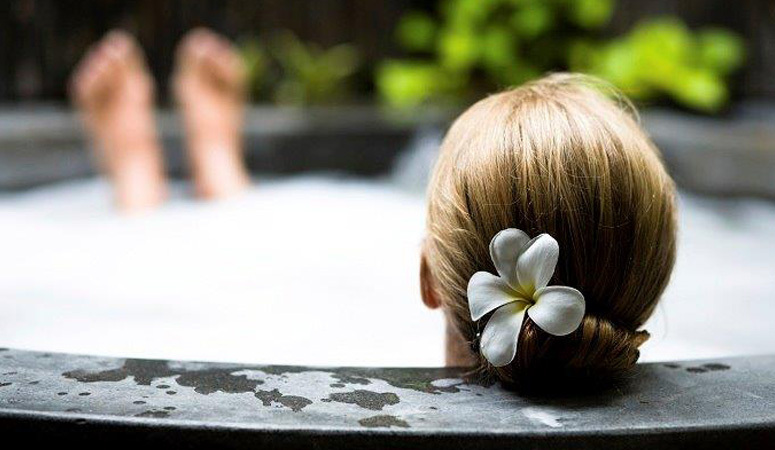 While caring for your face, create a personal healing bath. Add some Aura Body wash, a handful of Aromatic Mineral Salts, your chosen Aromatherapy Oil Blend and 4 drops of your personal Wildflower Essence Remedy. Set the scene with soft music and candles. then, with your mask on, submerge into your bath soaking your whole body in nature’s flower essences and the purest essential oils for total rest and relaxation.